Control the comfort where you want it, when you want it. An Ultra-Zone control system is the most cost effective improvement you can make to your home. Typically, a homeowner can expect to save hundreds of dollars a year in energy costs while at the same time improving the quality of life in the home. Zoning divides your home into areas with common heating and cooling requirements. Each zone is controlled by its own thermostat, allowing you to be comfortable no matter where you are in your home. 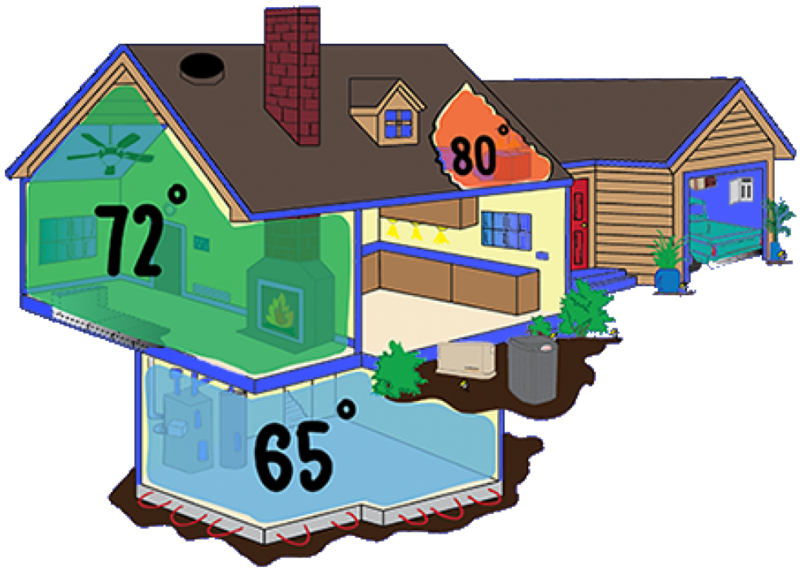 Zoning also allows you to leave unoccupied areas without heating or cooling, saving you more money on energy costs. In addition, EWC’s ULTRA-ZONE system can be used with a variety of night setback thermostats.